A FOUNDATION DEDICATED TO CELEBRATING THE LIFE OF MAX AND TO CONTINUE HIS ACTS OF FRIENDSHIP, SERVICE AND COMMUNITY. 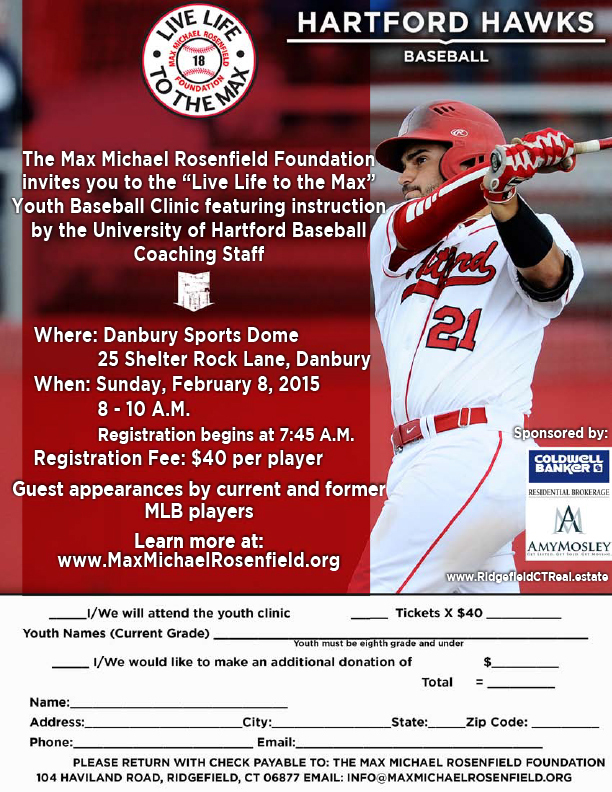 On Sunday, February 8, 2015 The Max Michael Rosenfield Foundation will be hosting the first annual “Live Life to the Max” Baseball Clinic. Instruction will be lead by Coach Justin Blood, the Division I University of Hartford baseball coach. The clinic will be held at the Danbury Sports Dome; an indoor state-of-the-art event complex and the East Coast’s largest domed facility. Guest appearances by current and former MLB players. Only $40 per player. Don’t wait. Space is limited. Register early.